I always “jump the gun” when it comes to transitioning from one season to another. Especially when it comes to Spring! I love love love gardening… or at least the idea of gardening. So digging in the dirt in the spring is such a joy to me. Coaxing the earth after it’s winter nap and bringing green things to life! My love of seasons continues on in what we eat too. I am such a seasonal, eat-what-is-growing-locally kind of girl. 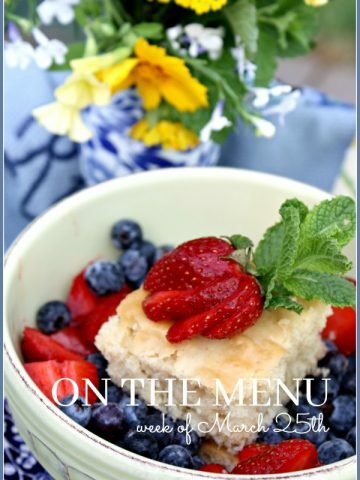 I’m already transitioning my recipes to reflect the end of winter and the beginning of spring! Are you listening to our new podcast DECORATING TIPS AND TRICKS? It’s all about easy and doable ways to make your home a beautiful and welcoming place and we laugh a lot too! You can listen below to our latest podcast FAVORITE DECORATING BOOKS AND HOW TO USE THEM… and hear how I met Martha Stewart! Or you can listen to all 12 episodes and get the show notes as well HERE. Don’t forget to take us on the go through iTunes or your android phone too! 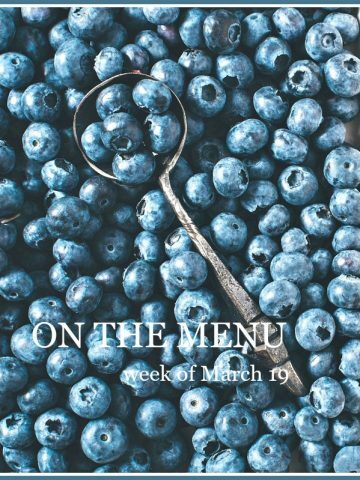 Now let’s see what’s on the menu this week! I love easy Sunday dinners. Especially when the family is here at StoneGable. I want to spend time enjoying my family instead of slaving away in the kitchen! 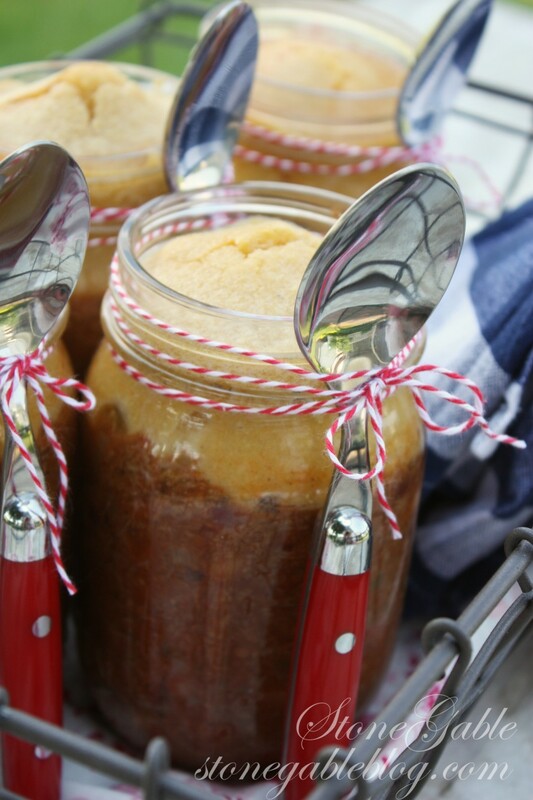 We all love chili and cornbread and it’s even better when it’s served in a mason jar! What do you eat for breakfast? I’m not much of a breakfast eater, so I often opt for a yummy protein shake! My favorite is chocolate shake mixed with frozen berries. Chocolate and berries are a delicious combination! I can’t wait to make this “new to me” recipe. YUM! Say goodbye to February! It’s been kind to us this year. But March often comes in like a “lion” here. I’m filling my home with spring flowers and herbs and green plants. This is the time of year I get so itchy to dig in the dirt! I grew up eating salmon cakes and they are good-for-you comfort food. If you never have eaten a salmon cake you should give them a try! Happy March!!!! March 1st in my mind is the real beginning of spring! I’m not waiting for the spring equinox! So I’m getting my spring seeds for the garden today! By the ides of March I’ll be planting lettuce and sweet pea seeds. I’ll also put out my onion sets. We can grow the sweetest onions here at StoneGable! Can’t wait to dig in the garden! 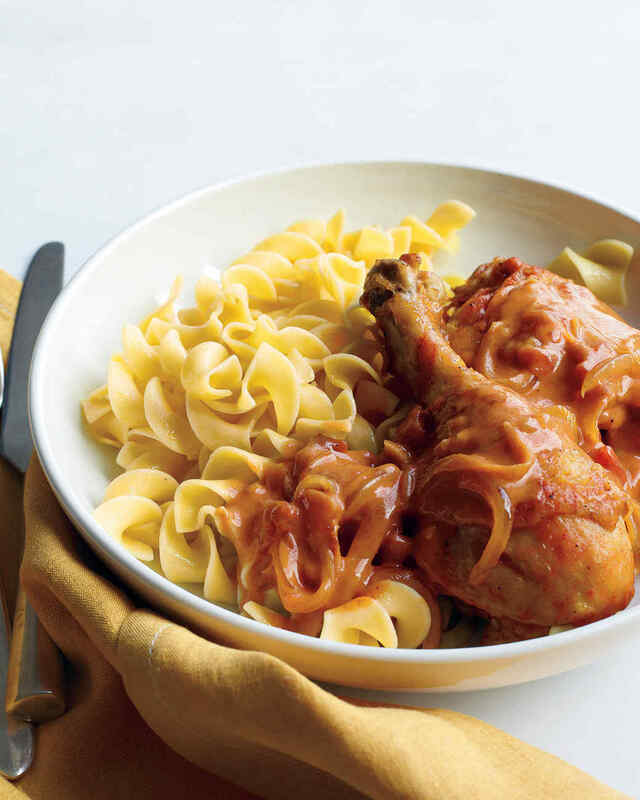 I went to another Hungarian, who is one of the great queens of fabulous food, for her Chicken Paprikash! Martha Stewart’s recipe is delicious and authentic. “It’s a good thing”! And a must try! Have you ever made spare ribs? 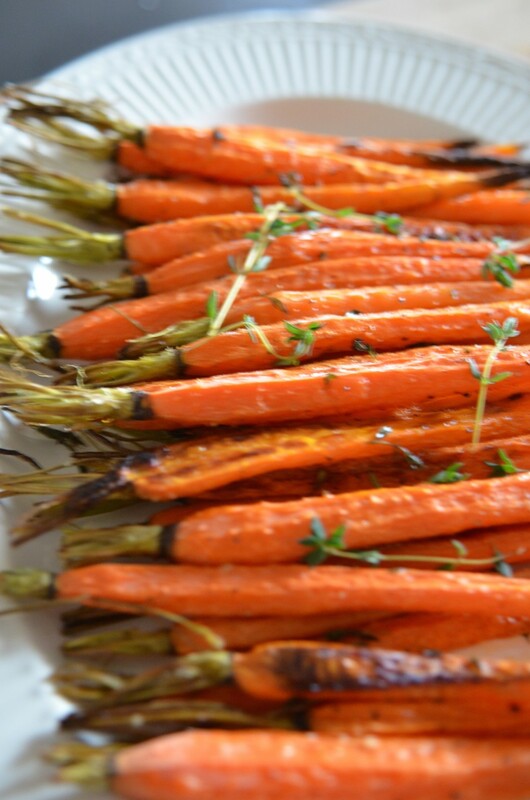 They are so scrumptious and can be baked in your oven. I have such an easy and so so delicious recipe for you today! 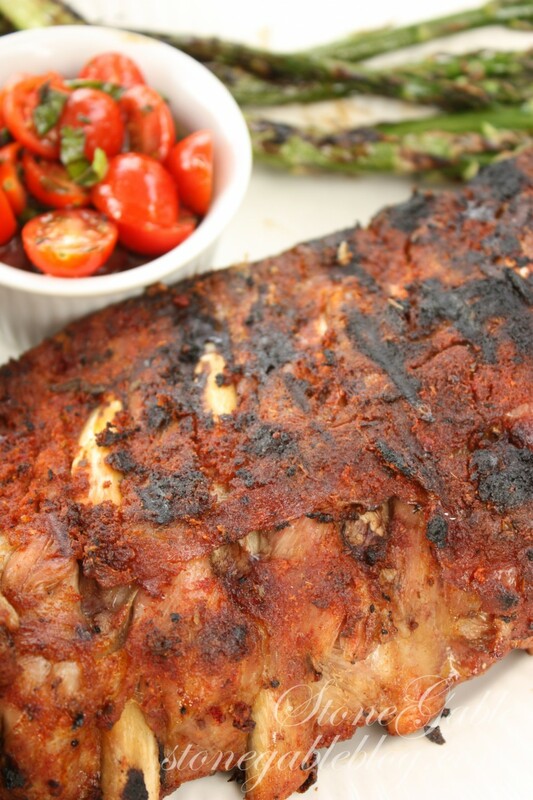 If you make one thing this week the Spicy Oven Spare Ribs should be it! There is nothing like a good hamburger! Juicy and thick! Oh my YUM! So we are making my favorite hamburgers on the grill! 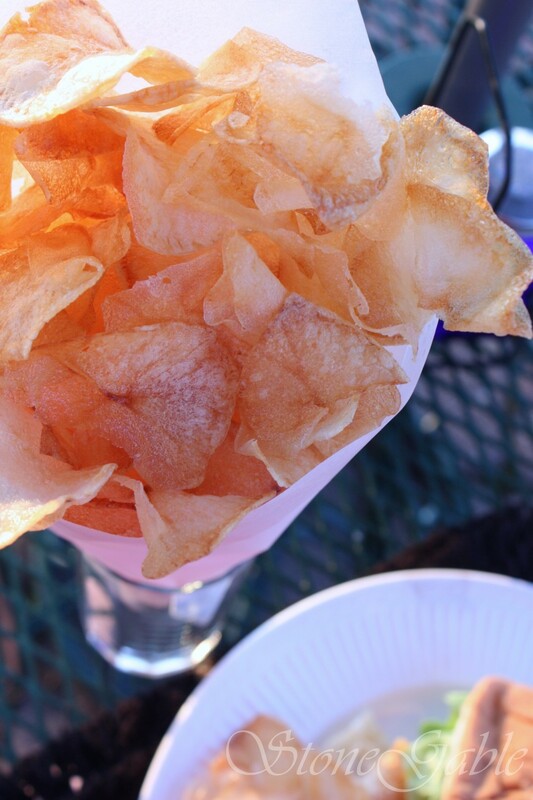 And homemade potato chips are much easier than you think. they are a real treat! When I’m not drinking my protein shake I love to have a couple breakfast cookies with a cup of coffee or two! These are so good! I make my own salad dressings. So so much better than store bought and very easy to make! You might like to follow me on Pinterest and see the thousands of recipes on my Foodie Fun board! You can follow HERE. I am salivating! It all looks good…think I am going to steal your Monday meal. Those kabobs look incredibly delish. Cant wait to try. Love your menus! Gives me new ideas. Thank you, Yvonne. The chili and corn break in a mason jar looks so good and I love the way that you tied the spoon to the jar. I think I might try the breakfast cookies. I will be trying organic carrots from now on. These look so tasty. I didn’t see the ribs recipe. I would love to have it. The ribs look amazing! 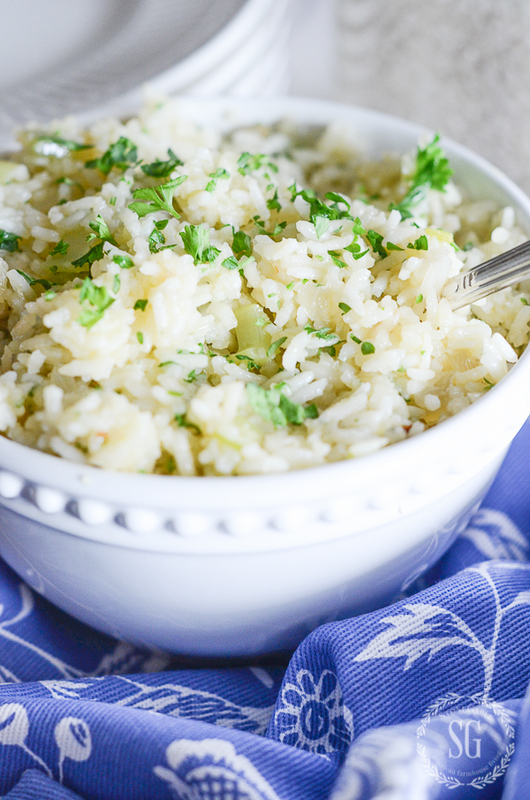 Your recipe for rice came at the right time. Making pork chops in the crock pot tomorrow night and needed a rice recipe. Not one for using prepared dishes but don’t like just plain rice. Love your recipes and print out so many of them. Thanks again. 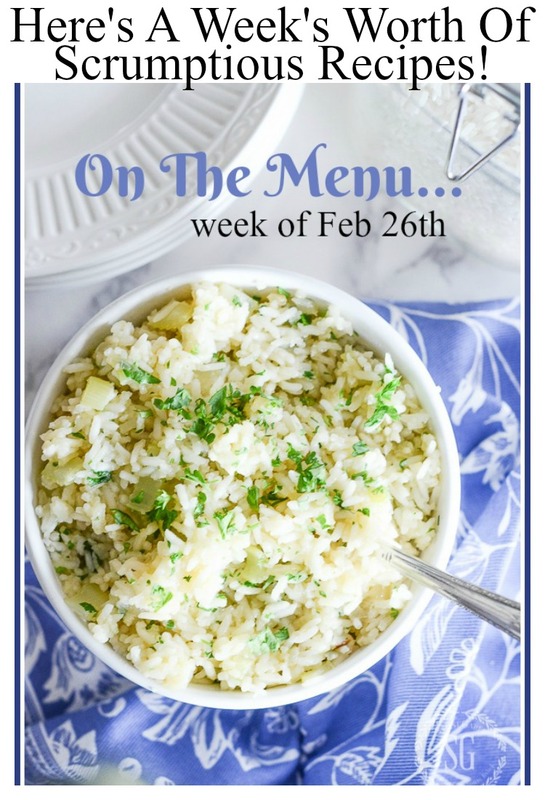 OMGosh… I’m reading the MENU of February 26… checking out the recipes… printing them… and Pinning them and going on the web to find your previous oven ribs and grilled veggies and salad dressing recipes ! !… and the wonderful soups (cuz it is COLD and VERY wet here!!) –I’m drooling to have it ALL r.i.g.h.t. now !! LoL AND do NOT forget the HOMEMADE potato chips… which I will fix today to have when we celebrate NASCAR Daytona 500 !!! GO Jr #88 !! And I’m thinking of your Cheesburger soup !! Y.U.M. I first tried the rosemary ranch chicken kabobs a couple of years ago. They quickly became a favorite! But since we woke up to snow this morning and our grill is still hibernating in the garage, I’m thinking either the chili or the chicken paprikash would be good choices. It all looks yummy! I love how you serve the chili and cornbread in a mason jar! Thanks for sharing your yummy recipes! I’m not a big breakfast eater either but those cookies do the job; they’re delicious. these dressing recipes look wonderful and I can hardly wait to try some of them. Yummy! This is *so* helpful, Yvonne. Thank you. You took all the work out of menu planning for the week. I’m going for it. You’re the best! Thanks again for the menus! It helps give me ideas when I’m stuck on what to make. Salmon cakes are a favorite of mine, but I’m still looking for a better recipe. Please post yours when you can . I would love to try it. Yvonne- home stylist AND food stylist- is there anything you CAN’T do?! Love the recipes. I make Hungarian beef goulash and have been looking for a great chicken recipe. 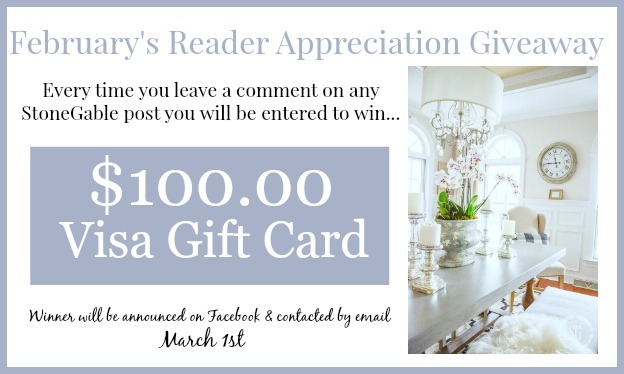 I can’t wait to try yours and Martha’s! Thank you! each day looks and sounds terrific! Everything looks so yummy. Thanks for sharing. Everything sounds delish especially the breakfast cookies. There are several recipes I’ll put in my meal planning from your list. Look delicious and easily done. Thank you for them and have a great week! 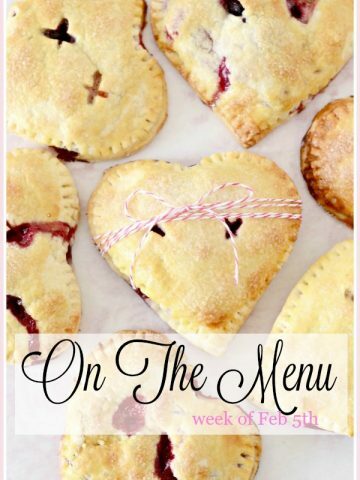 I love reading your menus for the week, the food just looks so great! Can’t wait to try some of the recipes, thanks so much for sharing the inspiration. Such wonderful menu ideas. They sound delicious. Thanks for sharing. the rice and the kabobs look like a dish I always order when I go to a Turkish restaurant. I’ll be trying them. I imagine that I can’t use Minute Rice in your recipe, right ? Enjoyed reading your menus. I will try some of your ideas. Enjoy your web site. Love the photography. I’ve been reading your blog for awhile and love it for so many reasons….but never was much interested in the recipes. However, lately your recipes have been catching my eye! Can you please post the recipe for salmon cakes! I want to make them with the Nana’s rice. Sounds delicious! They are on my list to make and post! Breakfast cookies are a fun change for breakfast. I can put my cereal in a batch of cookies! What a great idea! Would love the rib recipe! Looking forward to making the chicken kabobs. They look so yummy! Yum, you are making me hungry!!!! Always look forward to your recipes! 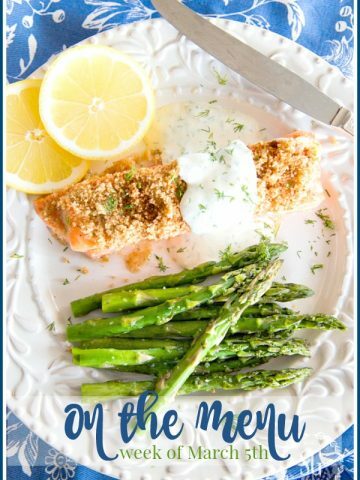 The salmon cakes idea sounds really good to me since I am always looking for new ways to get fish into our diet. Thanks! Everything sounds yummy. It is cold in Northern California, so I think I am ready for some chili and corn bread. Sometimes I layer vertically sliced wieners in the bottom of a 9x 12 baking pan, put chili on top, sprinkle with shredded cheddar and onions, and top it all with corn bread batter and bake it until the corn bread is nicely browned. The cornbread is even better is I put some diced jalapenos in the batter. I think some cheese and onion in the batter might also be good. Hi.. Having a little trouble finding the rib recipe. Thank you. 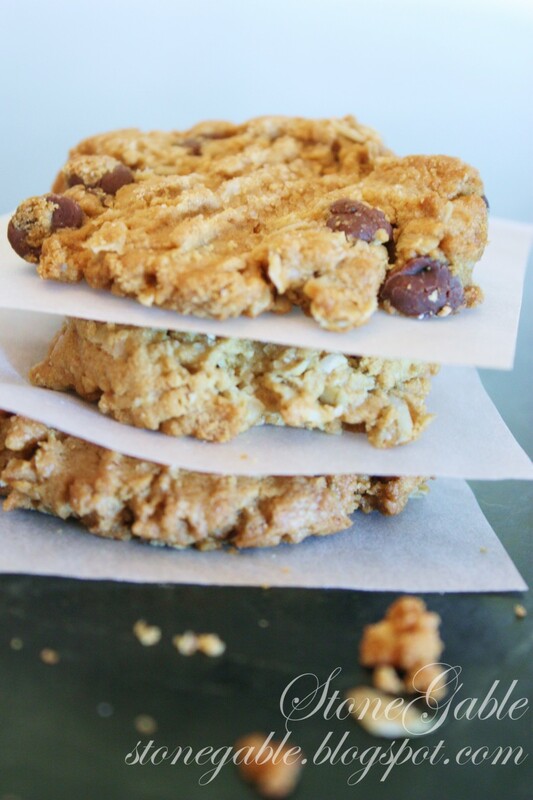 Cannot wait to try those breakfast cookies with coffee! Thanks! 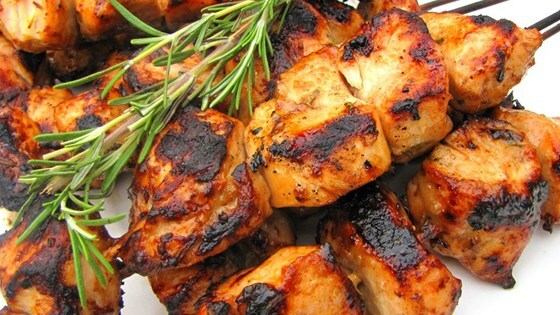 The chicken kabobs are on this week’s menu. And, I’ll be serving them with potato wedges. They are so easy to make and fewer calories than French fries. I like much better than any store bought dressing. I’ll be trying your peppercorn ranch. Thank you for posting the link to your salad dressing recipes. 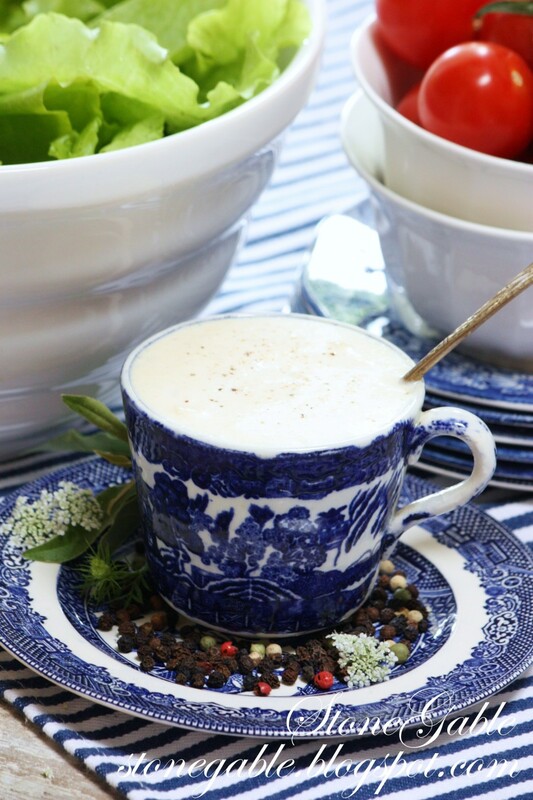 I have been looking for a good Italian vinaigrette recipe, so I will give yours a try. Parmesan Peppercorn is our favorite creamy dressing. I started making salad dressing instead of using the bottled dressings. It really doesn’t take that much effort, and it really takes an ordinary salad up a notch. I will definitely be pinning this! Yum.. The recipes sound so delicious. I will be trying some of these. I LOVE your blog!!! 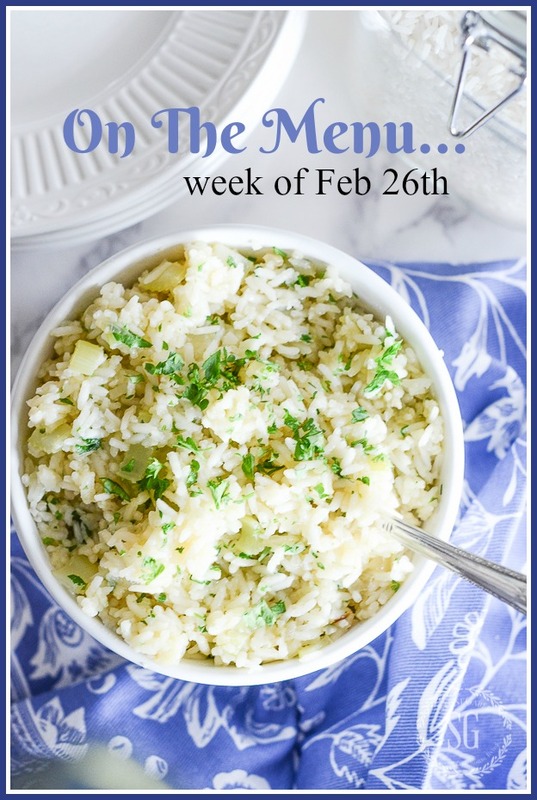 So glad your brought back “What’s on the Menu” each week!! Me too! It helps me be so much more organized! Great sounding meals – thanks for sharing. I made your Nani’s Sauteed Rice and it is now a “regular” in our household. Just delicious and goes with anything. I know, right? I’m thrilled your family is enjoying it! Absolutely enjoy your menu plans. I have recently started writing mine on a large chalk board and it helps me a ton, especially on busy nights.